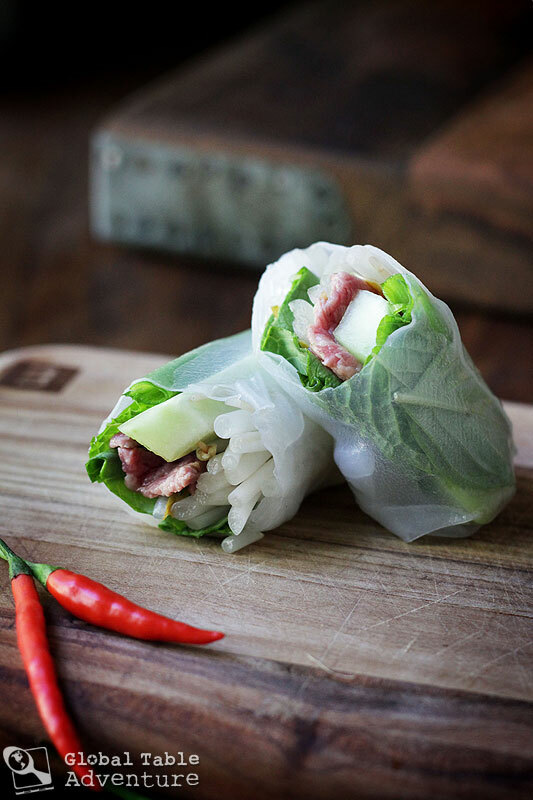 Nước mắm pha is the quintessential Vietnamese dipping sauce, used on spring rolls, rice noodles, salads, and more. It’s sweet, salty, and heavily spiced. 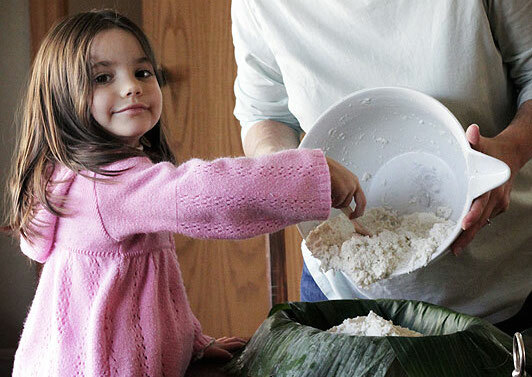 A basic recipe includes freshly squeeze lime juice, fish sauce, sugar, and water. The real flavor comes from garlic and fresh red chilies. I learned on Food Safari (a great food/travel show – catch it if you can!) that if the cook can get the garlic and chili pieces to float in the nước mắm pha, they will get married. 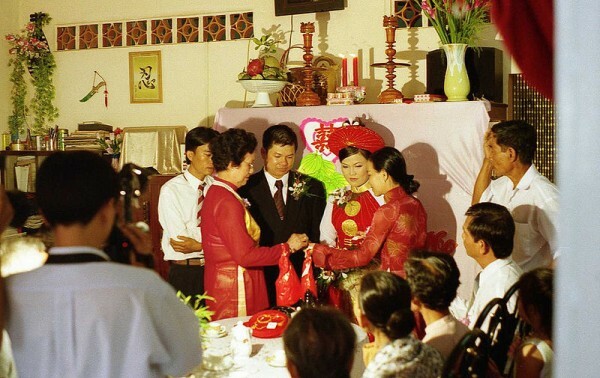 A Vietnamese country wedding. Photo by Mike Fernwood. Now, for those of you naysayers: there’s no reason to tell anyone about the fish sauce. Many unwitting folk enjoy this dipping sauce without being aware there is fish sauce inside. That’s because it lends a salty flavor to the dip, not an inordinately pungent one. There is one exception: if you make it with “first press,” “extra virgin” fish sauce, as I did this week. The flavor, much like olive oil of the same name, is quite a bit bolder in flavor. Even my own Mr Picky, who has tastebuds of steel, has been eating Nước mắm pha for years. 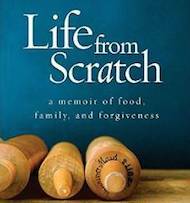 He was blissfully unaware – until this week, when I used the stronger fish sauce – that there was anything “fishy” about it. This is beyond easy. There are two approaches. 1. Add all ingredients to a small bowl. Stir. Enjoy. 2. 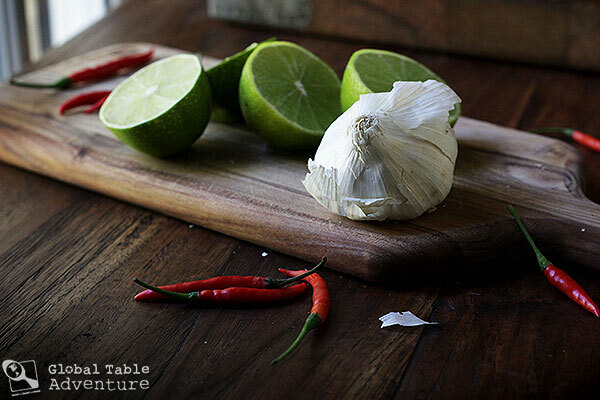 Use a mortar and pestle to pound the whole garlic and de-stemmed chilies together. Combine with all ingredients in a small bowl. Stir. Enjoy. If I had known a passport to Vietnam was this easy, I would have gone long ago. For now, I’ll have to enjoy with yesterday’s DIY Spring Rolls. How about you? Have you ever heard of nước mắm pha? Are you a fan? Do you think you’ll try making it? Many unwitting folk enjoy this dipping sauce without being aware there is fish sauce inside. That's because it lends a salty flavor to the dip, not an inordinately pungent one. There is one exception: if you make it with "first press," "extra virgin" fish sauce, as I did this week. The flavor, much like olive oil of the same name, is quite a bit bolder in flavor. Add all ingredients to a small bowl. Stir. Enjoy. Use a mortar and pestle to pound the whole garlic and de-stemmed chilies together. Combine with all ingredients in a small bowl. Stir. Enjoy. I had no idea there was extra virgin fish sauce. Now I’m going to keep an eye out for it. I love this dipping sauce, such a great combination of flavors. 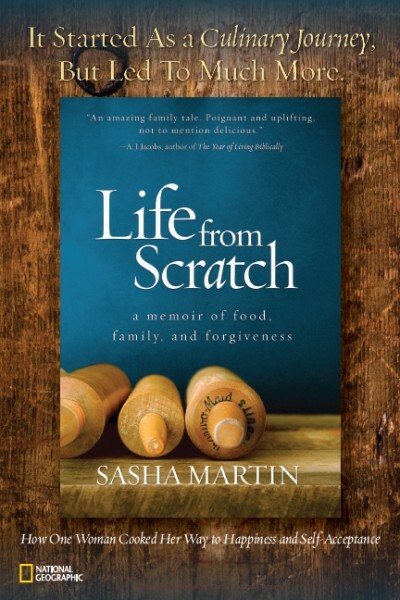 Me neither – I actually learned about it on Food Safari, and then found this stuff at my local grocer! I have not had this the rolls or sauce ever. Alas, I am allergic to fish. I thought I would make one sauce for the boys and one for me. What do you think would be the best substitute for fish sauce? I am excited about making dinner Sunday! Hmmm, I’m not sure there is one. There’s an interesting discussion here, though: http://chowhound.chow.com/topics/882260 Someone in the thread suggested that certain Asian markets have a vegetarian version of fish sauce – interesting! When I’ve needed fish sauce & not had any, soy sauce makes a reasonable substitute. I decided I would use lite soy sauce for mine. Found EV fish sauce for the guys. i drive up to an hour into VA to get my red boat fish sauce. i used to buy the squid brand that is more easily accessible, and the brand that my grandmother uses/used. that particular brand really does a great job, the taste of their fish sauce is far superior than any other brand i’ve ever tasted. i typically make a jar’s worth that keeps in the fridge for awhile, it’s perfect as a salad dressing even. Yes – I love it as a salad dressing, especially on the Vietnamese noodle salads. That is so sweet – the story about the floating chili and garlic .. 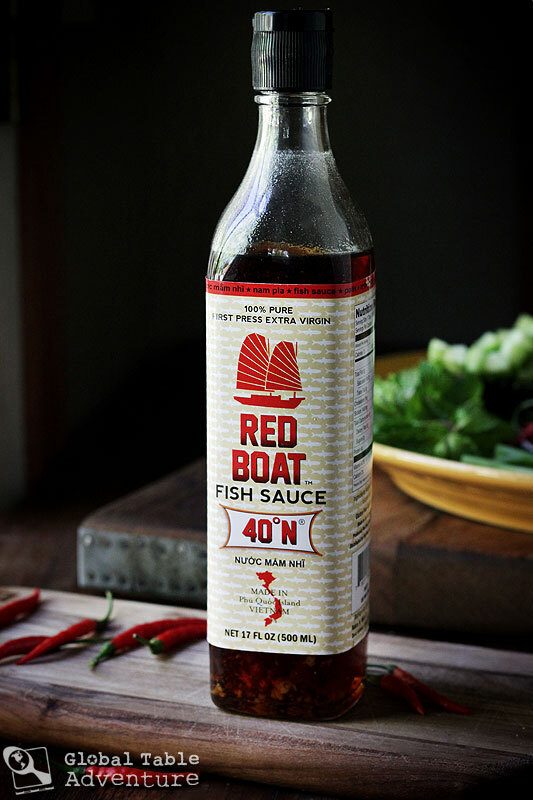 I love fish sauce and use it in many Asian (or just Asian inspired) dishes. It lends just the right savory flavor. Red Boat is the best and I make sure to stock up when I’m in the big city since none of our local grocers carry it. In the big Asian markets of Seattle and Portland I have seen vegetarian versions of both fish sauce and oyster sauce so there is hope for the veggans and vegetarians out there! Such a great recipe. We were at a fish sauce factory in Viet nam…. so stinky, huge vats of the stuff! But the dipping sauce, good! 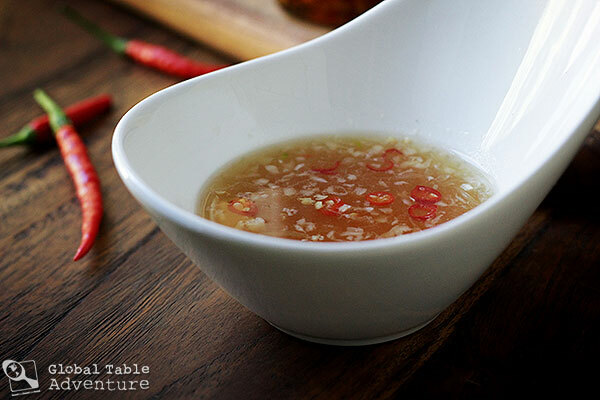 Fish Sauce, or “Nam Pla” in Thai, is one of the basic ingredients in Thai cooking. It has a rich translucent reddish-golden brown color, and is used liberally in nearly all Thai dishes. 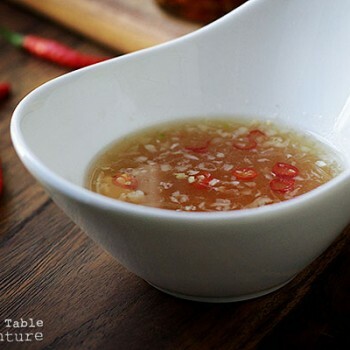 It is often used as a marinade for fish and meat, as well as a condiment (usually mixed with fresh-cut chilies and lime juice) – you may have come across this “sauce” on tables in Thai restaurants. In fact, Thais would add a little fish sauce to their meal the same way we would use salt and pepper. Good fish sauces are made from a mixture of fish and salt that has been allowed to ferment for 1 year to 18 months. Anchovies are typically used, although some fish sauces are also made from other types of fish or squid. The basic ingredients of a good fish sauce are: fish, water, and salt. Sugar may also be added, but isn’t necessary. Vegetarian fish sauce does exist. So far I’ve yet to find it in a Thai food store, but nearly all the Vietnamese food stores carry it. Better substitutes (in my opinion) are Golden Mountain sauce , or just plain soy sauce. When I cook Thai for my vegetarian sister, I use a combination of these two sauces, and the food always turns out wonderfully. For Golden Mountain Sauce you will need to shop at a good Asian food store (see link for more on this ‘secret’ Thai ingredient). For those who are concerned about their sodium intake, using fish sauce can be a bit of a dilemma. Not to worry. While the sodium content of fish sauce seems outrageous when you look at the serving size on the label, remember this amount will be distributed throughout the dish you’re cooking (for example, a Thai curry), so you won’t be consuming all of it – at least not in one portion or sitting. Add only a portion of the fish sauce called for in the recipe, then top up the remainder with sea salt. Sea salt has only a portion of the sodium found in regular table salt, and is much better for you in other ways too. Here’s the secret: lime juice. 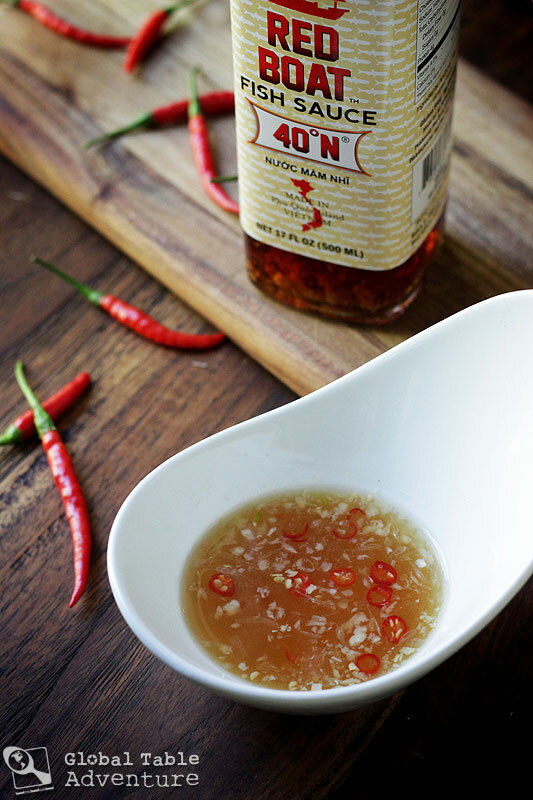 In most Thai recipes you will find fish sauce paired with lime juice and other ingredients. I always tell people it only smells fishy to use, as the cook, because you were the only who added the fish sauce (and had to smell it). Personally I don’t mind the smell at all, but perhaps I am now so used to Southeast Asian cooking that it has become a normal part of my sensory world. In any case, if you find either the dish you’re cooking OR your hands smelly ‘fishy’, try squeezing over some fresh lime juice and see if it helps. Cheers! Regarding the Golden Mountain Sauce mentioned above: “…(it) is often thought to be a secret ingredient in Thai food, at least here in North America where it is only now becoming known. This sauce has been used for well over a century in Thailand, contributing a special flavor to Thai stir-fries and other dishes. Ingredients: Like soy sauce, golden mountain sauce is composed mainly of fermented soy beans and salt. It tastes quite different from soy sauce, however: slightly saltier, plus there is a hint of sweetness (it does contain sugar). There is no MSG in this sauce, but the Thais do add what they call ‘flavor enhancer’ in small amounts (similar to MSG, but without the negative effects), and a preservative. Good for Vegetarians (and Vegans): One of the great things about this sauce is that it is fine for vegetarians and vegans – it even contains a substantial amount of plant protein from fermented soy, which is considered very healthy. For vegetarians who like to cook Thai, this sauce can sometimes work as an adequate substitute for fish sauce, especially in stir-fries and tofu dishes. Note: Golden Mountain Sauce does contain a small amount of wheat, so it is not recommended for gluten-free diets. Substitutions: If you’re looking for a substitute for golden mountain sauce, I suggest soy sauce mixed with sugar and vegetable or chicken stock (e.g. for every 2 Tbsp. soy sauce, mix with 2 Tbsp. stock, plus 1/4 tsp. sugar.). However, if you’re looking for real Thai flavor, I suggest going out and getting yourself a bottle of golden mountain sauce – it will last a long time, as a little goes a long way. Shopping Tips: You’ll find golden mountain sauce in Asian food stores. Look for it in tall bottles – it will likely be shelved alongside Thai fish sauce, and has a bright green or yellow label (see photo above). Note: When buying this sauce, look for ‘naturally fermented’ somewhere on the label; otherwise you may be buying hydrolyzed soy protein (used in fake soy sauces) which is unhealthy and even toxic in high levels. As an actual Vietnamese person, let me tell you that fish sauce tastes nothing like soy sauce and you definitely cannot use them interchangeably. If you prefer soy sauce, that’s fine, you can cook whatever you want, but if you’re cooking for a Vietnamese guest or something, that’s not going to work.